April Showers came a bit early to Texas. I am not a rain fan, but I do have two fab rain trench coats. 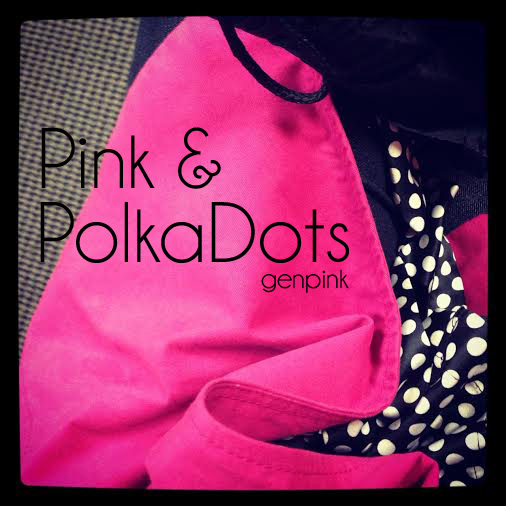 Yesterday I opted for the pink trench paired with one of my fashion staples – polka dots! I don’t think “polka dots” will appear on any “Trends for 2014” lists, but I don’t want to live in a world were polka dots aren’t “in”. Here’s a quick shot of my pink + polka dots look. Although I heart Instagram, I am pretty infrequent in my OOTD posts. To be honest, I love the close of up patterns much more than trying to get a full body mirror selfie, or do the tripod + timer dance. 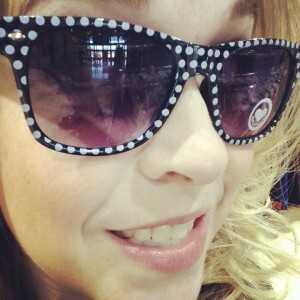 The other day I was *this* close to buying these polka dot sunnies. 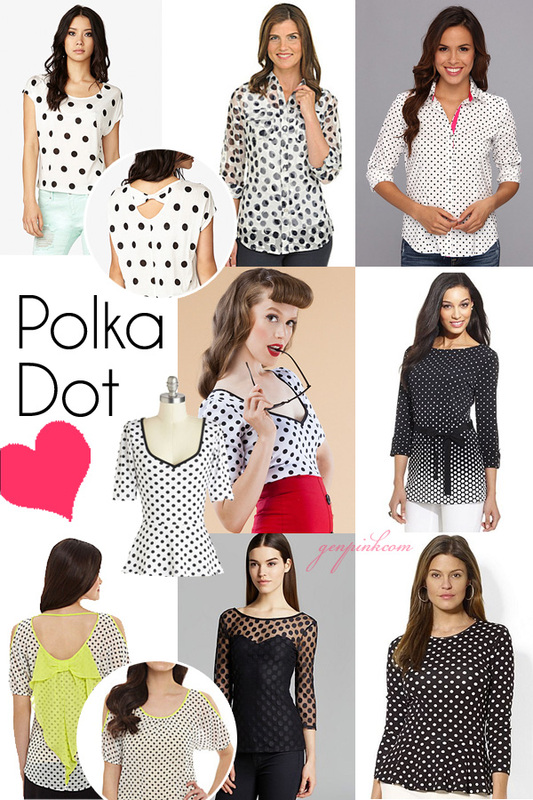 Here are a few polka-dot shirts (all under $50!) I’d love to add to my collection. I think the Ombre or the Lime Green Bow-Back are my favs. Which do you like? Oh, and I heard you wondering… yes, I do have a Pinterest board dedicated to polka dots (and chevron too)! Love all of the polka dots! I can’t choose a favorite- but really like that last one from Macy’s!